Large machines have at least one thing in common across all industries: the need for a variety of protective devices. However, as the complexity increases, so do the integration requirements. It becomes increasingly critical to ensure the machine stops safely in the case of danger or a fault—and that no faults are masked. This post explains what fault masking is and how you can avoid it. Note that we always recommend discussing your specific application with a safety professional. Fault masking can occur in the series connection of switches with volt-free contacts—including in series of magnetic safety switches, electromechanical safety switches, or safety locking devices. Due to the series connection, fault recognition in the evaluation unit could be reset by operating other safety switches. The actual fault then becomes masked (hidden), and the interlocking circuit can be released. This means it is possible for dangerous machine functions to continue in spite of a fault in the interlocking circuit. If faults accumulate, the safety function is lost. The risk of possible fault masking in the conventional series connection of the safety switches with volt-free contacts limits the performance level that can be achieved. In some applications, the risk of fault masking makes such a series connection inadmissible. Watch the video below to see an example of how fault masking might occur on a theoretical packaging machine. In this example, 6 hazard points are secured by 6 doors and monitored by magnetic safety switches. There are two primary solutions to avoid fault masking: (1) using safety switches with monitored outputs, and (2) utilizing a safe sensor cascade to continuously monitor sensors and wiring for faults. One good way to safeguard against fault masking is to use safety switches with monitored outputs (like the TR4 Direct transponder safety switch). The 8-pin cascade-able variants have two safety inputs and two safety outputs. Test pulses of OSSD outputs enable the safety switch to constantly monitor the channels for failures. In the case of a short circuit, both outputs will be switched OFF, stopping the machine. This failure detection allows the achievement of the highest performance level even in the cascade. The TR4 Direct transponder safety switches from SICK are able to meet the performance level PL e even when connecting up to 30 devices in a series. Safety switches with monitored outputs are a good solution when it works to use specifically with cascade-able OSSD-output safety switches. But what if you need to connect other safety devices with different outputs? 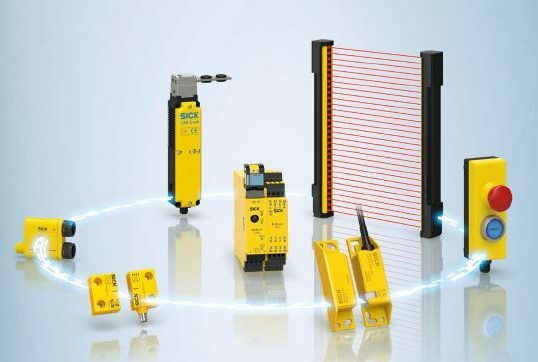 In this case, a safety cascade becomes an important piece to allow you to connect multiple sensors—regardless of construction or technology—in a series without a reduction in the performance level. Use a safety cascade that offers detailed diagnostic information for each connected safety device—like SICK’s Flexi Loop—to monitor the wiring to each sensor and between the Flexi Loop nodes. This instantly detects faults, helping to prevent the loss of safety function. Aaron is the national product specialist for safety laser scanners. 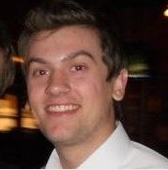 He has been with SICK for four years, learning the industry and solving applications. In his free time, he enjoys rocking out on the bass guitar and bike riding near the lakes in Minneapolis.